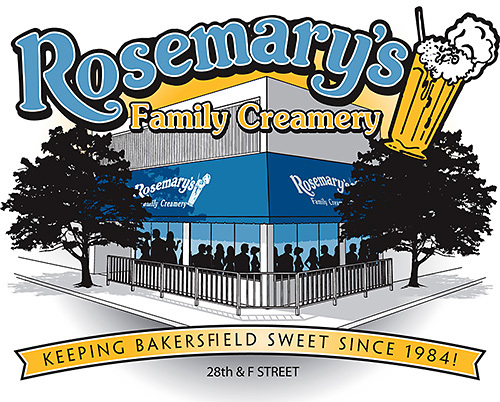 Rosemary's Family Creamery was established in Bakersfield by Frank & Rosemary DeMarco. The family tradition is carried on by our daughters Roseanne and Katie, and our grandson Patrick. We proudly serve our own ice cream which is made on the premises. We also manufacture our own hot fudge and caramel sauce, cook our pineapple sauce, whip our marshmallow topping and our whipped cream. In addition, all our baked products are made here. Keeping Bakersfield sweet since 1984!